The detective with a notebook is a commonplace in murder mysteries, and Death Among the Marshes pays homage to this trope, not once but twice – the investigating police detective brings one out, as does Billy Watkins, the manservant of the main protagonist Frederick Babington. Set in the early twenties, this clever novella also gives specific mentions both to the Sherlock Holmes stories and to the first of the Poirot mysteries by Agatha Christie, The Mysterious Affair at Styles (1920). Set in the fictional Norfolk pile of Marsh Hall, seat of Viscount Marshbourne, by the village of Marshbanks, Death Among the Marshes is Kathryn Ramage’s way of having fun with the country house mystery genre while also acknowledging that living in the aftermath of the Great War was no less difficult for many returning soldiers than surviving the actual conflict. As with the detective the reader may well resort to a notebook to make sense of the complicated relationships and possible motives of the actors in this story. The title refers not to the fenland of Norfolk as one might expect but to the extended family of Marshes, one of whom – Bertie – has been murdered. We soon meet an assortment of cousins, fourteen in all, most of whom can be reliably placed on a family tree, and various parents, uncles and aunts. Frederick Babington takes it on himself to discover the circumstances of Bertie’s death in parallel with the police investigation. He of course finds himself compromised: he was a childhood playmate to most of his cousins, and naturally feels loyalty towards the family. As Inspector Deffords says, “the most frustrating part of investigating a murder among a close group of people [is] no one will tell you anything. They’re all concerned with protecting each other.” But because of the war and the years since he last saw them Freddie starts to doubt each individual’s motives, alibis and, worryingly, innocence. Freddie is also affected by the fact that Bertie has died at the same spot of the river where his own parents drowned, and is troubled by the spectre of history repeating itself. But he has also to allow for slowly changing attitudes with regard to master-servant relationships (contemporaries find his easy social manner with Billy curious), philandering (women’s status had started to change for the better with the social upheaval occasioned by war) and homosexuality (this was barely more than a quarter-century after the Oscar Wilde trials). Kathryn Ramage’s novella is an intelligent work that perfectly captures the manners, language and attitudes of the period while sustaining the usual expectations for a murder mystery. It’s also carefully structured and detailed so that it’s possible to draw up reasonably accurate maps, plans, timetable and family relationships if one has a mind to treat it as more than a casual read. All in all I found this a convincing work, neither a pastiche nor a parody of its models; and in Freddie Babington, with his faithful friend Billy Watkins, we have an amateur sleuth with a tortured history and a decent character who — dare one hope? — deserves further outings. The only clue that the author isn’t British is the use of “huff” as a verb: this Americanism doesn’t quite convey what the phrase “in a huff” implies but rather suggests audibly giving a heavy sigh or even a metaphorical shrug of the shoulders. She has however avoided the lazy cliché that lesser writers frequently don’t of prefixing upper class interjections with “I say!” for which we must be grateful. 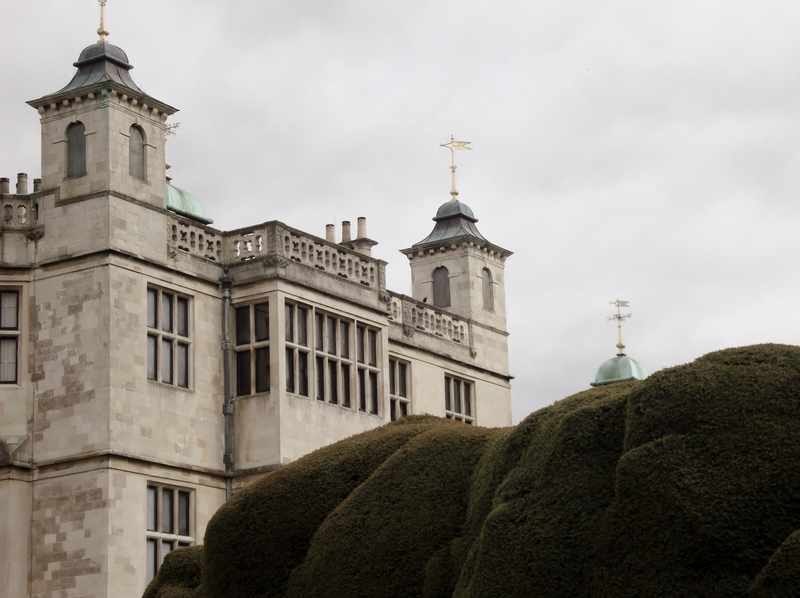 Whilst reading Death Among the Marshes I imagined a slightly less ornate Audley End in Essex. However, the fictional Marsh Hall is within seven miles of Downham Market, which makes me wonder if it’s not partly modelled on Oxburgh Hall which is also the same distance from that town. Oxburgh Hall is now in the ownership of the National Trust after rescue from demolition in the fifties. Though surrounded by a moat, which Marsh Hall isn’t, it was a place of secrets in remaining, like Norfolk generally, loyal to Catholicism, and boasts a priest’s hole dating from the Elizabethan period. Freddie of course bears the Babington name, a supposed ancestor of his being involved in the so-called Babington Plot to murder Elizabeth and place her cousin Mary Queen of Scots on the throne. Ramage doesn’t say so, but it’s clear to me that the historical Plot must have influenced her choice of story plot involving a Babington, the murder of one cousin and suspicion falling on the other cousins. I love someone who will give a pulpy gothic tv soap opera a serious look. She’s quite versatile then: I’ve only previously read two of her fantasy stories. ‘Fraid I don’t know Dark Shadows — my soap experience here in the UK is sadly limited! Thank you for the review! I’ve put up a link on my site. Freddie Babington will be having further adventures. I’ve already given Ginger a short missing-jewels mystery for an upcoming issue of Storylandia and have finished another longer story, this one concerning the disappearance of Freddie’s cousin Wilfrid. This is all good news, Kathryn! Look forward to hearing about them when they’re published, and thanks for the link! This sounds really interesting – I do like historical detective fiction. Storylandia also seems interesting, and something to try. Many thanks.